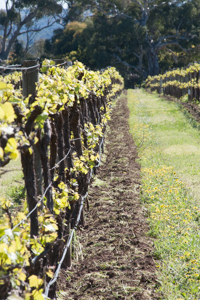 Our vineyards are located to the south of the McLaren Vale wine region, in the southern foothills of the Mount Lofty Ranges, some 7km due west of the sea. The vineyards lie at about 130m above sea level. We have some seventy acres of twenty years and older Shiraz, Cabernet Sauvignon, Chardonnay, as well as some Viognier, Sauvignon Blanc and Mourvèdre. Grown on their own rootstock, in some of the world’s oldest soils, McLaren Vale’s benign climate is ideal for growing grapes organically. Organic farming is based on minimising the use of external inputs, avoiding the use of synthetic fertilisers and pesticides. 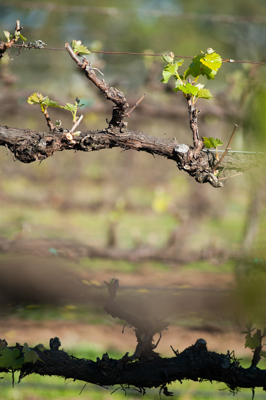 Our organic philosophy also entails a step back in time to viticultural processes that were used in McLaren Vale in the days before the advent of synthetic chemicals. 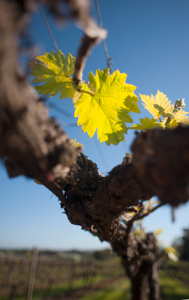 Dictated by the seasons, we manage our vineyards traditionally to help minimise our impact on the soils and environment, and grow the very best quality grapes we can. 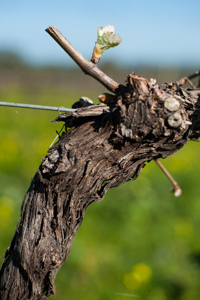 Conversion to organic viticulture began in 1995. We now have a significant holding of 20 years and older Shiraz, Cabernet Sauvignon, Chardonnay, Viognier, Petit Verdot, Sauvignon Blanc and Mourvèdre (as well as a little Graciano and Touriga Nacional) vines which are fully certified ‘A’ grade organic by Australian Certified Organic, a process that takes four years. Certification involves yearly audits and random sampling of produce. Joch controls weeds in partnership with the soursob (Oxalis pes-caprae), a pretty yellow flower (considered a weed by gardeners everywhere) which grow rapidly with the onset of winter rains and forms a natural weed mat thereby outcompeting all other weeds. The map below shows the location of our vineyard. Zoom out to see our location in relation to the sea.